These elastic table covers keep my outdoor tables clean and the elastic keeps the wind from blowing them off. Won't know until it arrives. Easy to play cards and maj jongg on. Because I needed them. I am upset that I’m paying a shipping fee 8.99 and a handling charge of 2.99 when the catalog advertises FREE SHIPPING. Probably won’t be buying from Miles Kimball again. I just love these style tablecloths - easy to keep clean, no laundering cloth placemats anymore, and entire table is covered, making for more usable space when eating. The different designs are refreshing and dress up the table. It match our coffee table and fireplace because they made of marbled. Had one previously and thought it was very good quality. I love the elastized table covers, especially the ones that you have to offer. Best selection! Need to protect my wood table when I take out the leaf. I hope it will fit & work as nicely as the other type I purchased form Miles Kimball. Because of elastic and correct size. Also ease of finding and ordering. 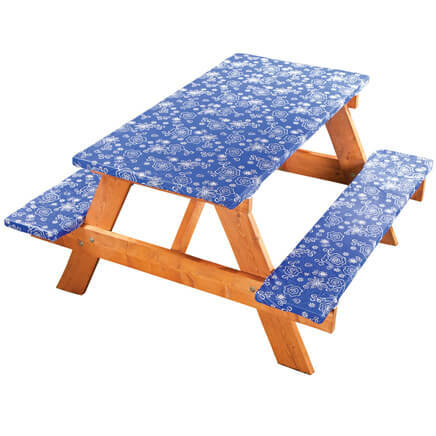 I buy these tablecloths every year for my picnic tables on my deck at the beach. They look so nice and easy to wipe off. Have used in past. Color matches patio furniture. My friends all have your tablecloths for playing cards and I wanted one too. Durable and pretty all at the same time. I order these table covers all the time, not only do they look nice they also protect my table. Sister had catalog and I never new where to get these items. Saw them in the catalog and decided to try. to use on the table on other occasions. To protect a glass tabletop. To use on outdoor tables. I have a round table both on the patio and in the kitchen, these stay in place nicely. I have ordered many things from your catalog and have always been HAPPY. can't shop much because of my health and this seemed like it would fit my odd shaped table with the elastic. Hope it fits. We have had these table covers in the past to cover a glass topped table that is on our porch. The quality is good and the price is right. I've ordered this several times. Right color, right fit. Really meets my needs. Have purchased these 3 or 4 times and have always been satisfied. 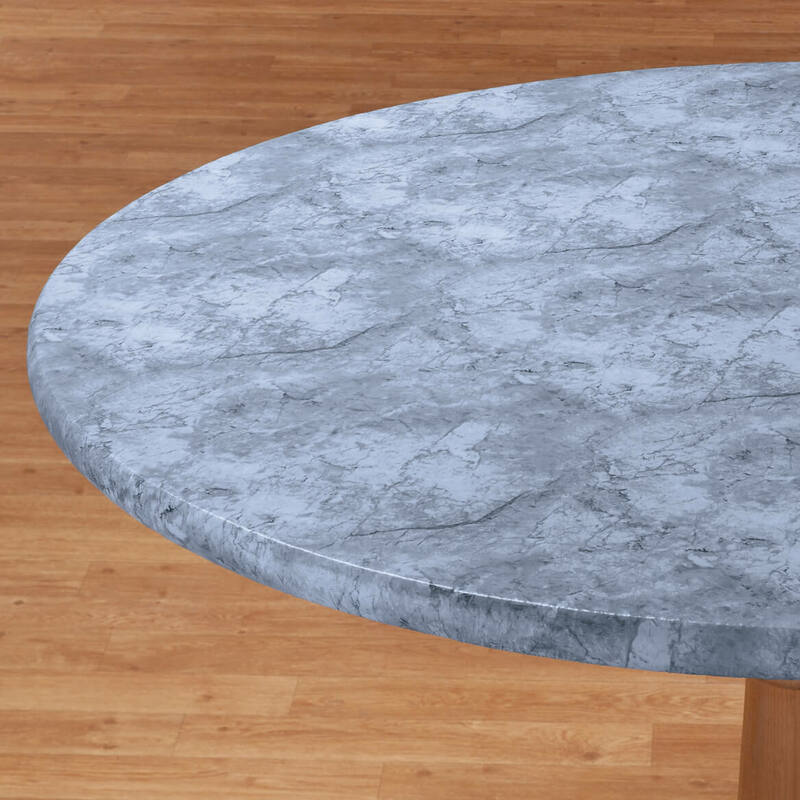 I needed a gray elastic round tablecloth for my living room table & I was having a very hard time finding "gray". Your site is the only site that offered this specific item. I really mean that I have been looking for a while & was about to give up, when I received your catalog & saw that your offered several styles & many more colors. Thank you for ending my search for the elusive "gray round elastic" tablecloth!!! Can you cut a hold for an umbrella? BEST ANSWER: Thank you for your question. It is up to you if you'd like to cut the item. Please note, once an item is altered it cannot be returned.We hope this information will be of help to you. Sometimes if you cut plastic it will rip unless you sew the edges around the hole. (a hexagon”). It measures 47” from the two longest points. Will the table cloth fit snugly around the six sides of the table measuring 44” from side to side? yes I think it will. The tablecloth fit very nicely and lasted all summer. I purchased another for this summer. I think you will be pleased. I have a 44” hexigon table. Will the “40 - 44” round fit my table? It will be tight but should fit. My 41x69 oval table has a drop-leaf on each end. Is there enough extra space in this item to accommodate the slight size changes as the leafs are raised and lowered? BEST ANSWER: My table cover is For a round table but inches from the edge, all the way around, therr is a 3 inch support for the top. The table cloth fits nicely around that support and keeps the table cloth snug. BTW - I use this to protect me table top when playing games and I love it! I purchased the round cloth so I can't say on an oval. I do know there is a lot of extra going under the table for mine and it could be a larger table. Is the green a light green or dark? Sorry I can't help you, I purchased a blue table cover. 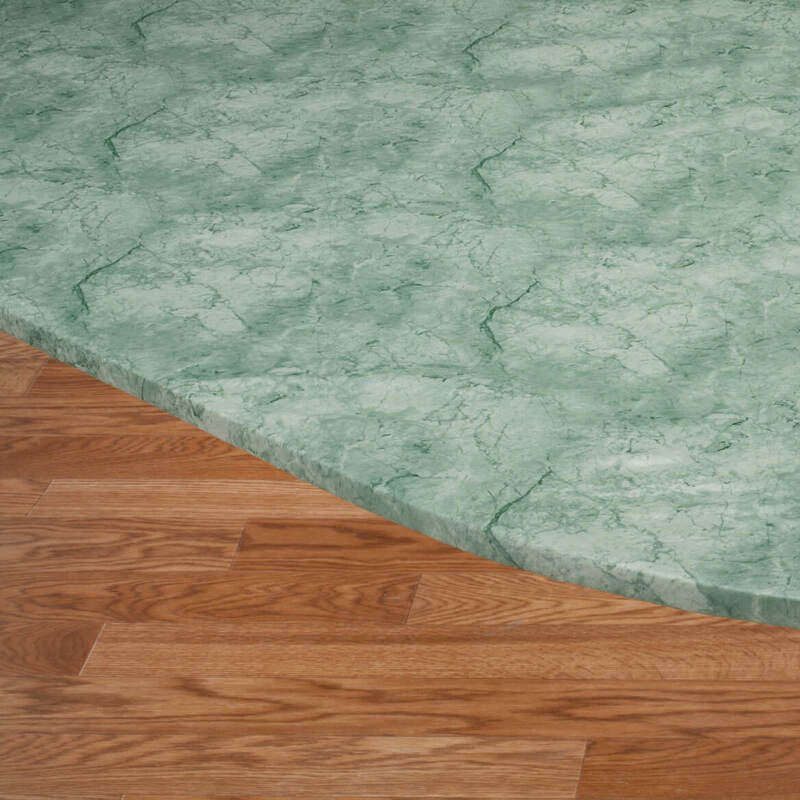 Is the green marbled tablecloth a bright green or a sage green? BEST ANSWER: Thank you for your question. It is more of a sage color. We hope this information will be of help to you. 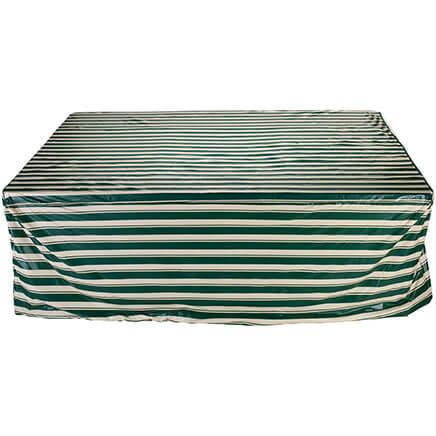 Looking for an elasticized table cover for a 42 by 68 rectangular table. Will the oblong / oval work? If not, any suggestions? BEST ANSWER: Thank you for your question. 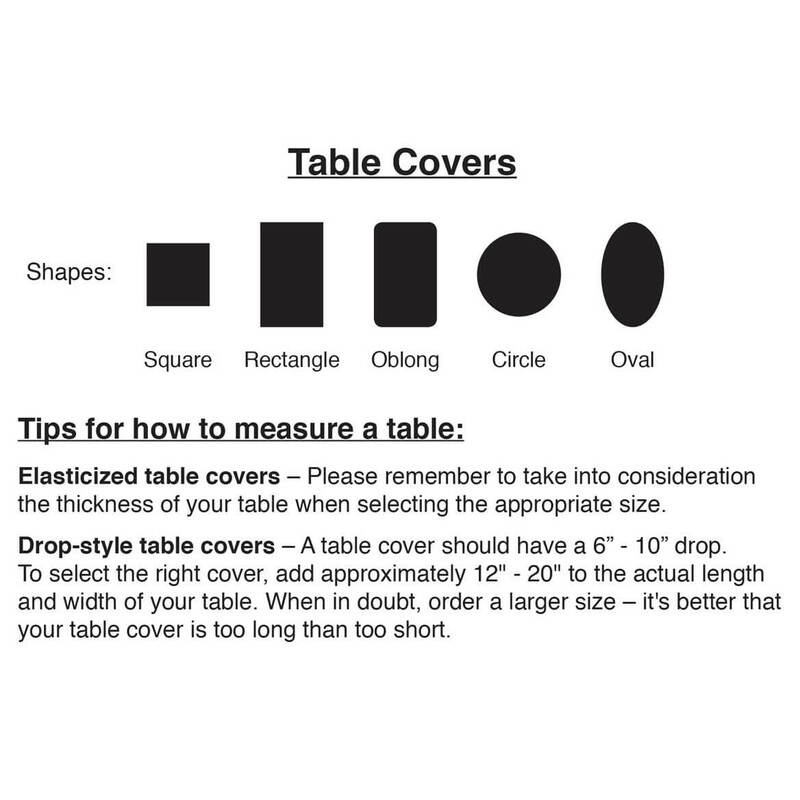 A oval or oblong cover will not fit a rectangle table because of the shape and corners. We hope this information will be of help to you. WE put ours on a 44 x 66 oblong table and it fit great. I have a 54" diameter (3/8" thick) table. Will the 45-56" tablecloth fit it? BEST ANSWER: Thank you for your question. 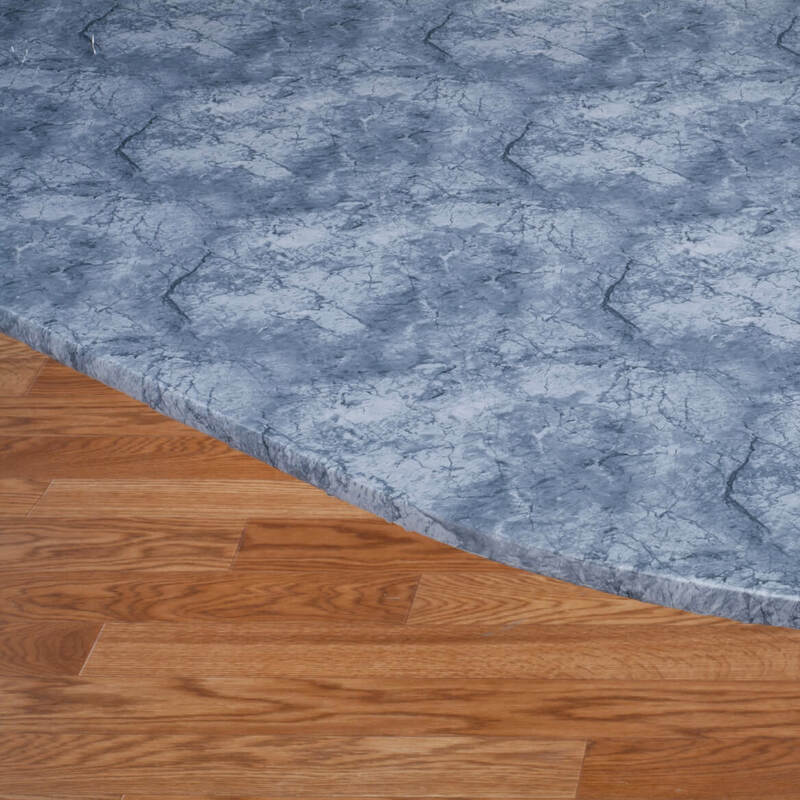 The 45-56" cover should fit your table as 56" dia is the biggest it will fit with a thickness of 1". We hope this information will be of help to you. My round table is 45 inches. Should I get the 40-44 inch round or the 45-56 inch? I don't want the cover to be too large and not fit snuggly. BEST ANSWER: Thank you for your question. The 40-44" will be to small for a 45" table so you will need to get the 45-56". We hope this information will be of help to you. The cover we received is very wrinkled. How do I smooth it out? I have a 46" square table and 3" thick and it has a drop leaf on each end and become a 65" round table. 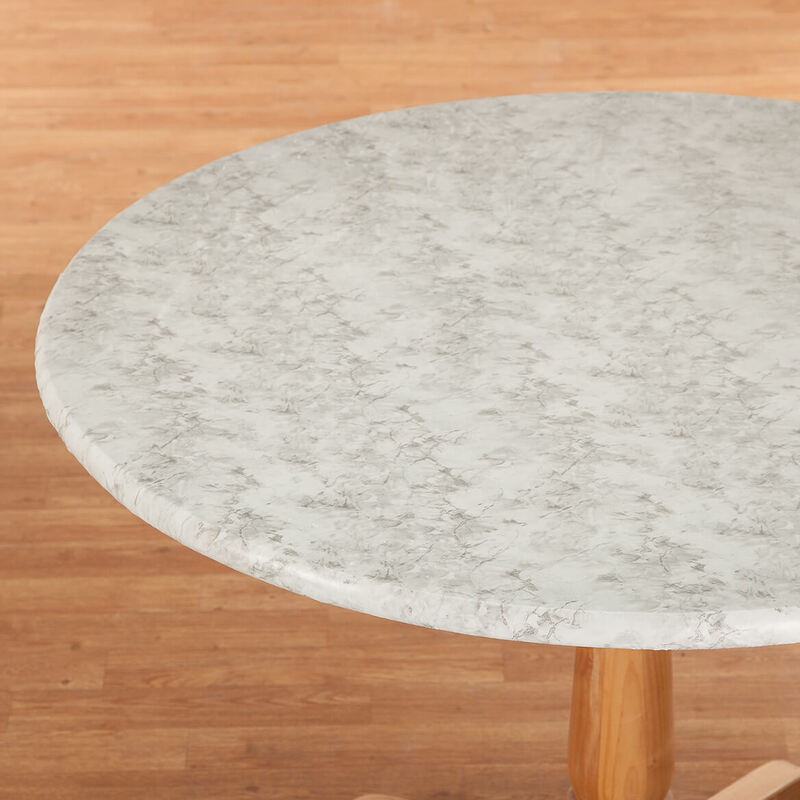 Will this marbled elasticized table cover fit this table? Which size do you recommend? Any other kinds will fit this type of table? Thank you! BEST ANSWER: Thank you for your question. This table cover does not have a size that fit that size table. We hope this information will be of help to you. do you have 84 in DIA ( 38.2 SQ. ft ) avalaible ? BEST ANSWER: Thank you for your question. Unfortunately not this table cover does not come in that size. We hope this information will be of help to you. My table is 42 by 60 , will the 42by68 fit. My table is not round? BEST ANSWER: My table is a 42X59 oval and the 42 X 68 fits snug because of the elastic. My tables are 35 x 35 can I get a cloth to fit ? Does this patio table cloth have hole for umbrella? BEST ANSWER: Thank you for your question. This is not made for a patio table, it does not have a hole for the middle. We hope this information will be of help to you. what fits a 31x41 table? BEST ANSWER: Thank you for your question. We do not sell a table cover that small, sorry. We hope this information will be of help to you. How do you know what size table an eleastized cover fits? BEST ANSWER: Thank you for your question. You will need to measure your table. We hope this information will be of help to you. I have the same question. Company answer was inadequate. Will a 42x68 elasticize tablecloth fit a 42x60 table? BEST ANSWER: Thank you for your question. Yes, this table cover will fit your table. We hope this information will be of help to you. Will it fit a square table? BEST ANSWER: Thank you for your question. The table covers do not fit a square table as the corners are not made to fit. We hope this information will be of help to you. what fits a 36" round table? BEST ANSWER: Thank you for your question. Unfortunately we do not sell table covers that small. We hope this information will be of help to you. What is the return policies of Miles Kimball? BEST ANSWER: Thank you for your question. From the time your item ships you have 45 days to return it for refund or exchange. Personalized items are non-returnable. We hope this information will be of help to you. on the fitted vinyl tablecloths do the measurements shown have to be the exact size of your table? (oblong) Can I use a rectangular table cloth on an oblong table. 36" by 48"? BEST ANSWER: Thank you for your question. 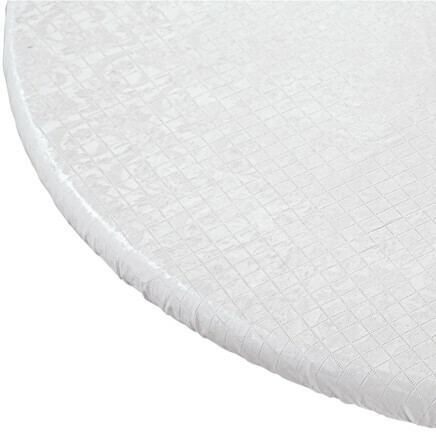 The Elasticized Table Cover is designed to used on tables with rounded edges. We hope this information will be of help to you. 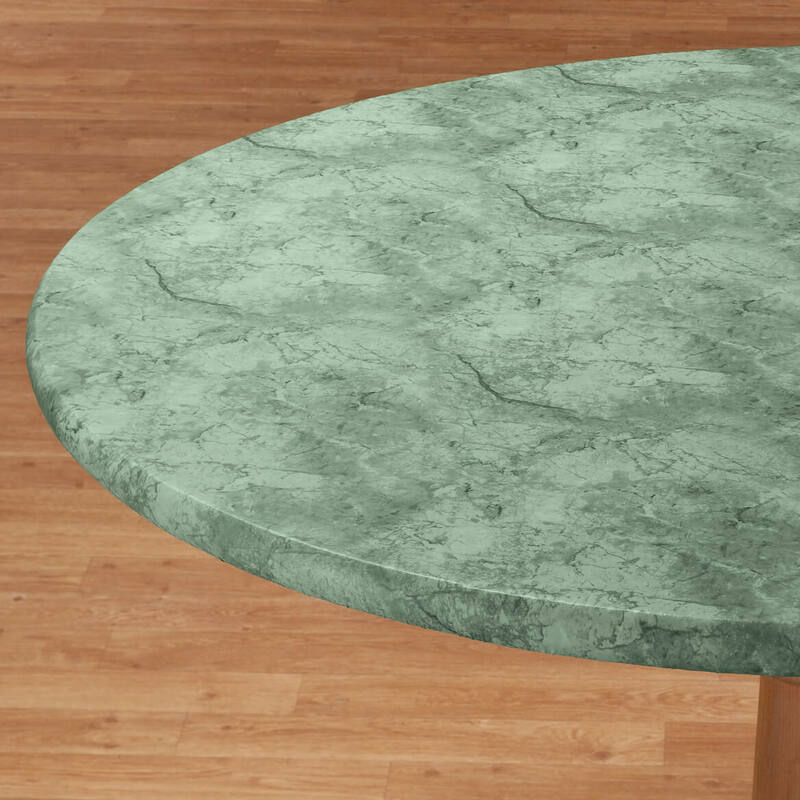 when will the aqua color 40-44" round elasticized table cover be in stock? BEST ANSWER: Thank you for your question. 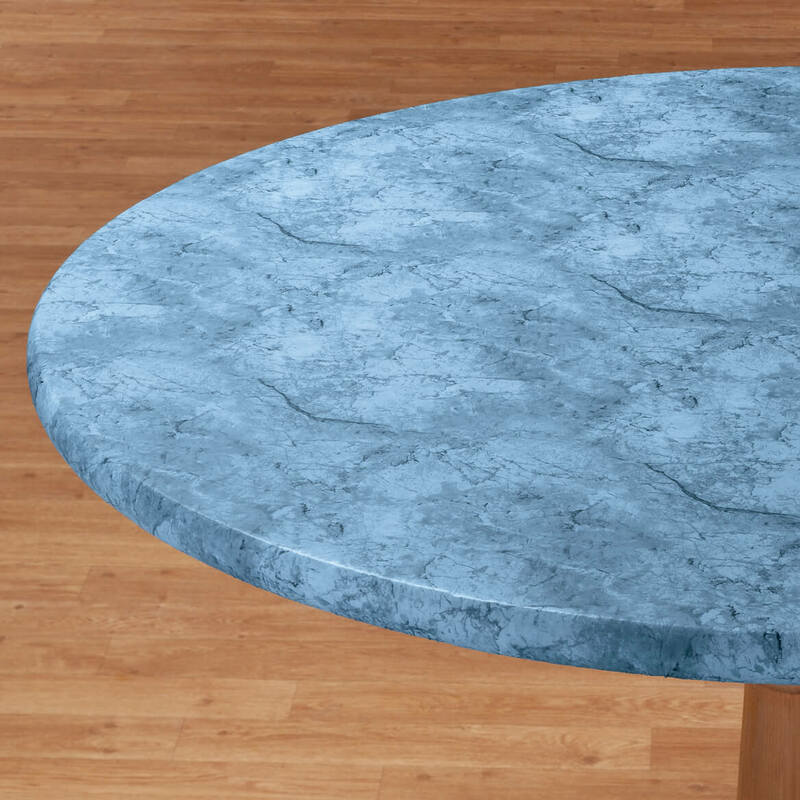 We currently have the marbled elasticized table cover in the 40"-44" size in blue. We hope this information will be of help to you. 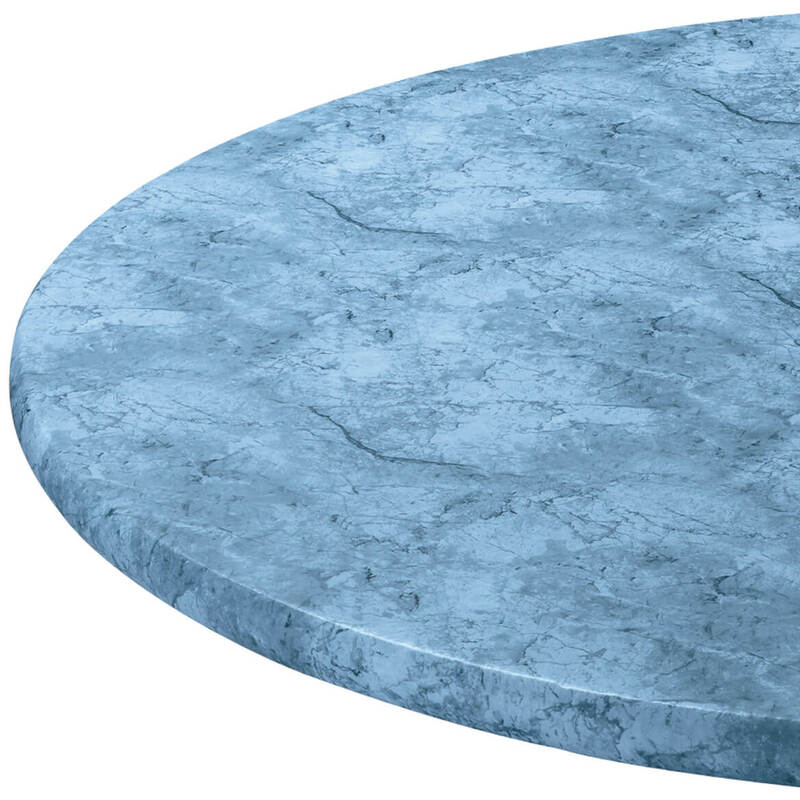 WILL THE OVAL COVER FIT A RECTANGULAR TABLE WITH THE SAME DIMENSIONS? BEST ANSWER: Thank you for your question. 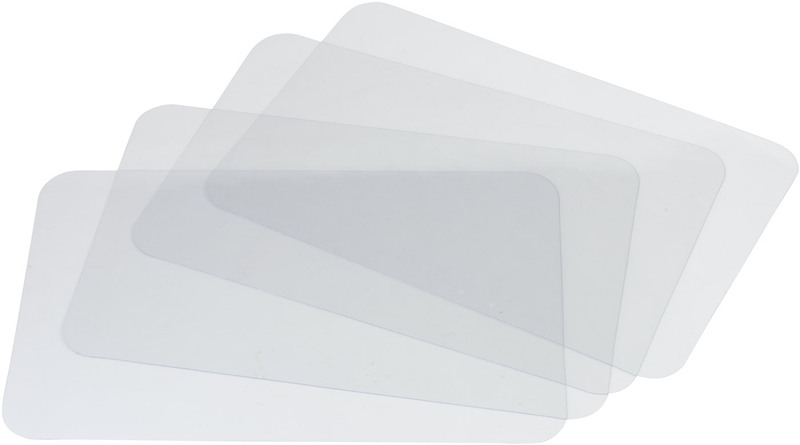 The oval covers table covers that we carry are designed for use with oval rounded edges and are not designed to be used on a rectangular table. We hope this information will be of help to you. 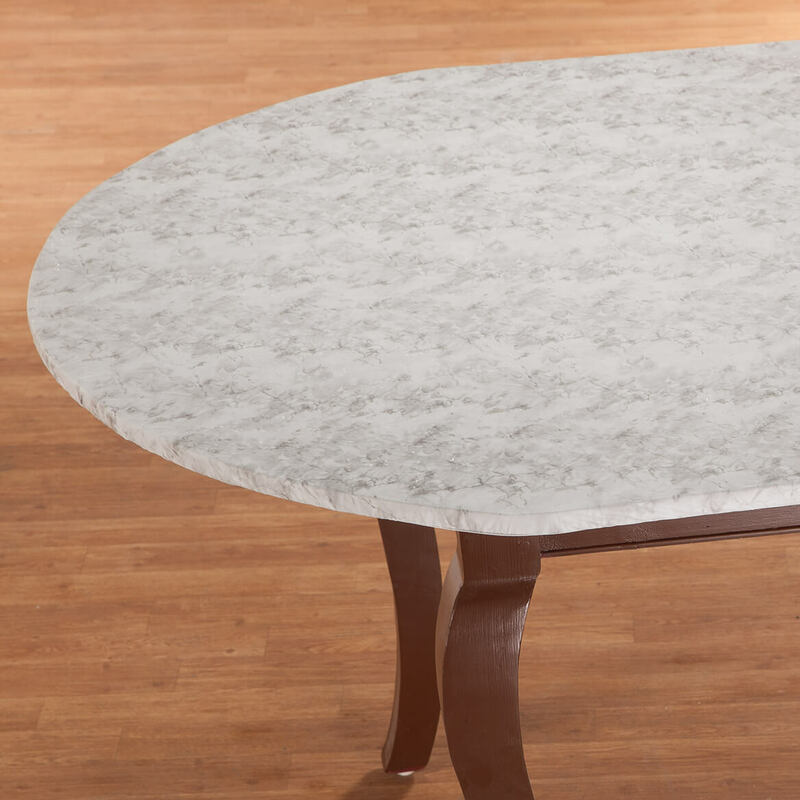 will the marbled elasticized table cover 344623 fit a 60" round table? BEST ANSWER: Thank you for your question. 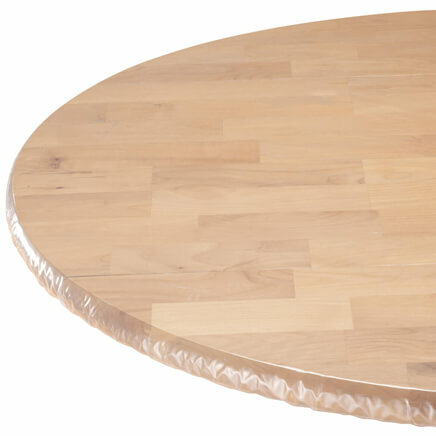 No, the round table cover will only fit tables with a diameter between 45" - 56". We hope this information will be of help to you.